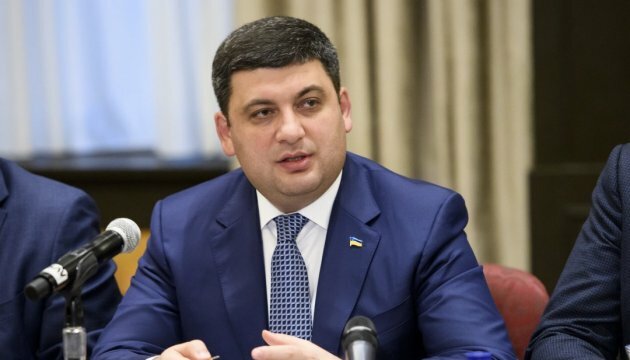 Prime Volodymyr Groysman has said that with the coordinated work between the parliament and the Cabinet of Ministers, Ukraine’s economic growth can exceed 3% next year. He said this at a government’s meeting on Wednesday, an Ukrinform correspondent reports. “MPs approved a number of laws and budget for 2018 in first reading. The budget is absolutely balanced, this is the budget for economic growth," Groysman said. He reminded that the budget envisages more than 3% of economic growth, it was submitted timely by the government to the parliament. "If we manage to approve various laws on the development of national economy, we can increase this growth, and people will feel qualitative changes in their lives faster," Groysman said. He also thanked the government, relevant parliamentary committees and MPs for the qualitative development of the draft law for first reading.